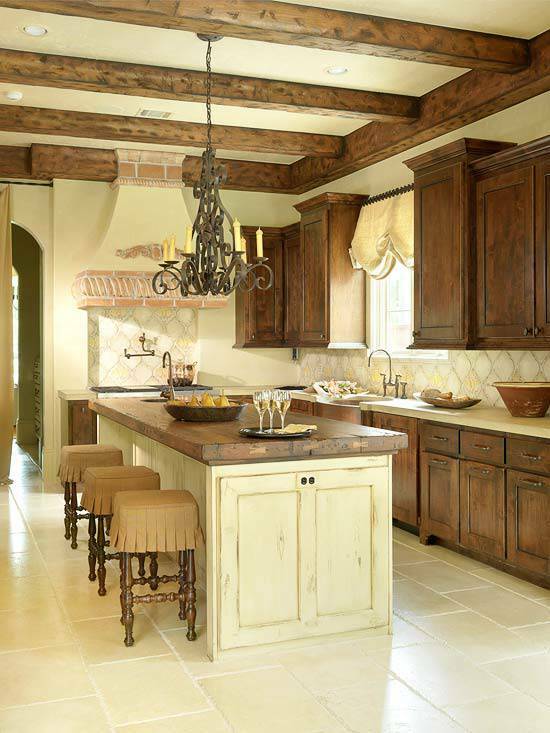 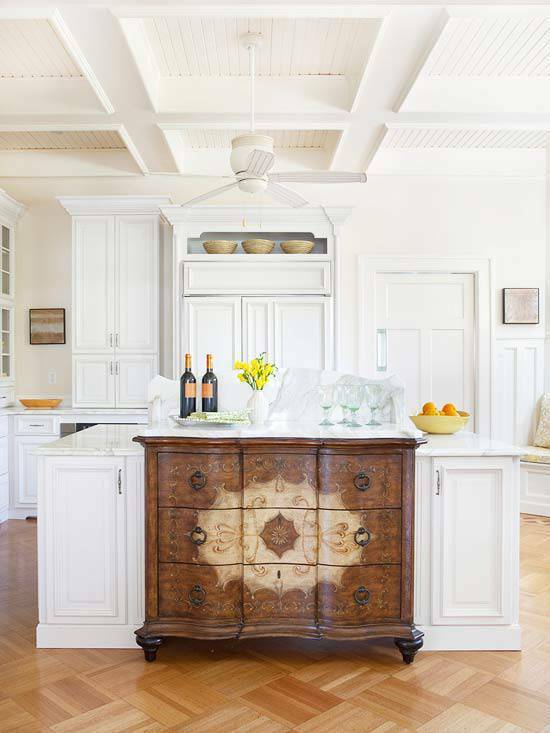 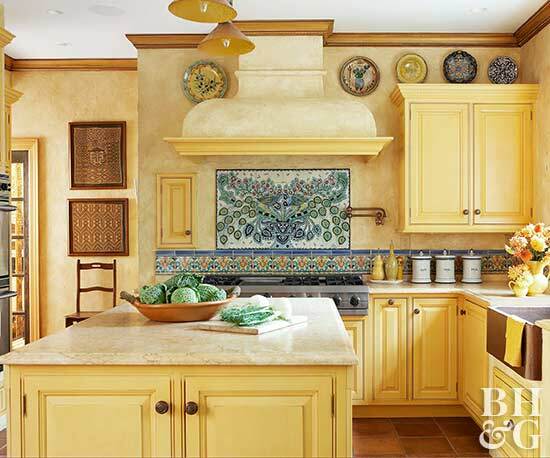 Traditional designs seem to be very apt for kitchens, giving it an old world charm. 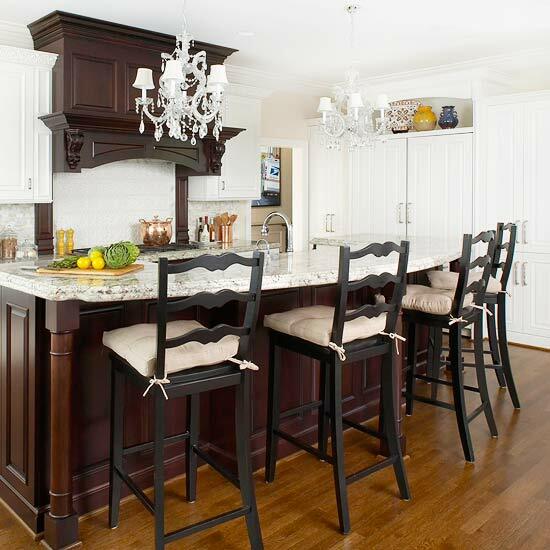 If it has a dining area as well, it can be the venue of a lot of quality family time. 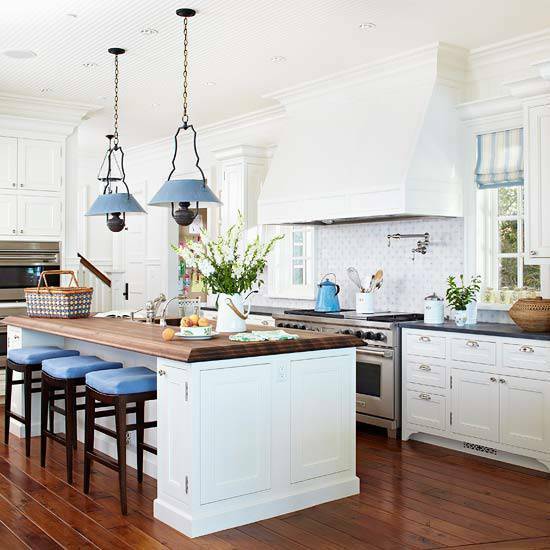 Further, soft palettes like beige, blue or lavender can have a very calming effect. 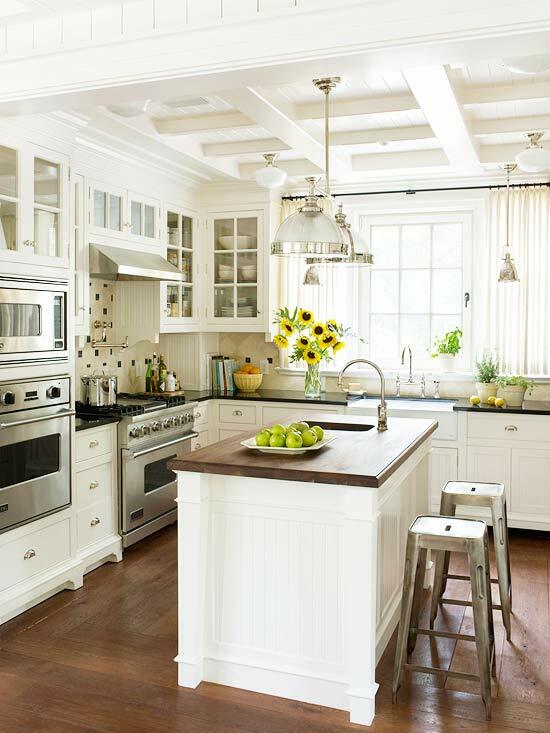 Floral prints can be another traditional design element, especially the same printed fabric used throughout the kitchen as part of a colour theme. 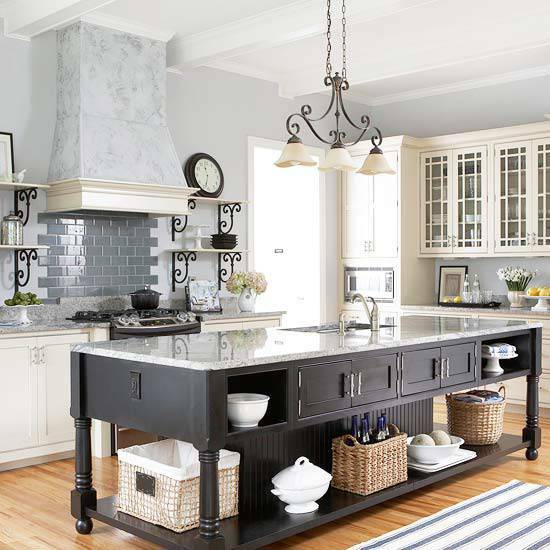 Your kitchen will have modern appliances, but appliances that look too modern may clash with the traditional design features. 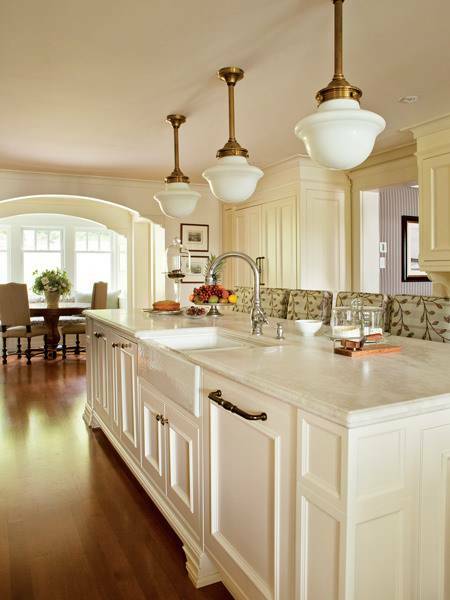 To minimize the disharmony, use a marble or granite countertop. 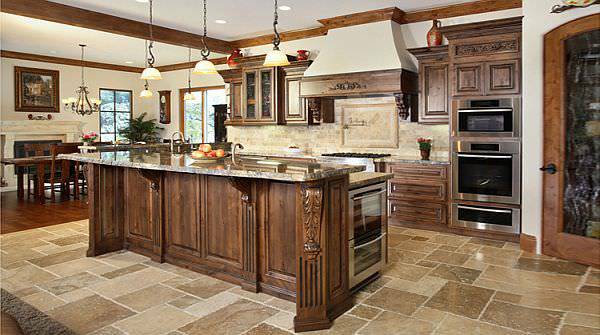 Install the appliances at places where they do not stand out, but are still within convenient reach. 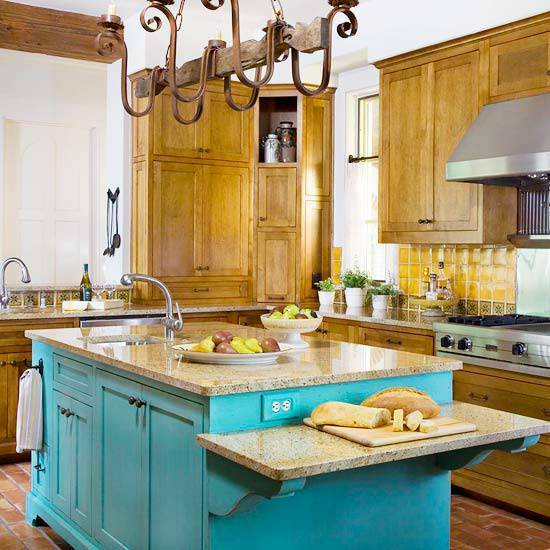 Do not be anxious if they are obvious; functionality is more important than design fidelity. 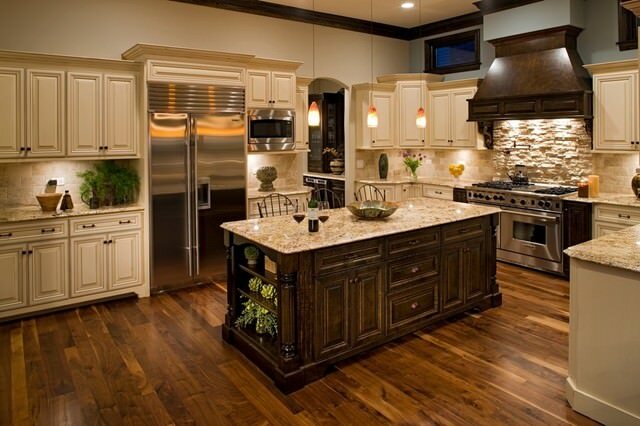 Your kitchen counter would probably be of wood, with the conventional shelves, drawers and closets. 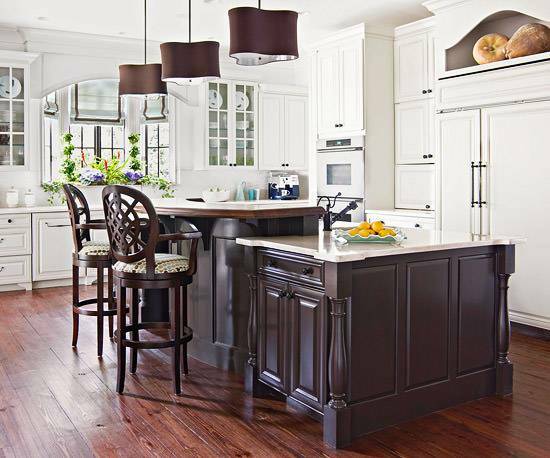 Wooden flooring would automatically leap to the mind for a traditional kitchen, but it need not be so. 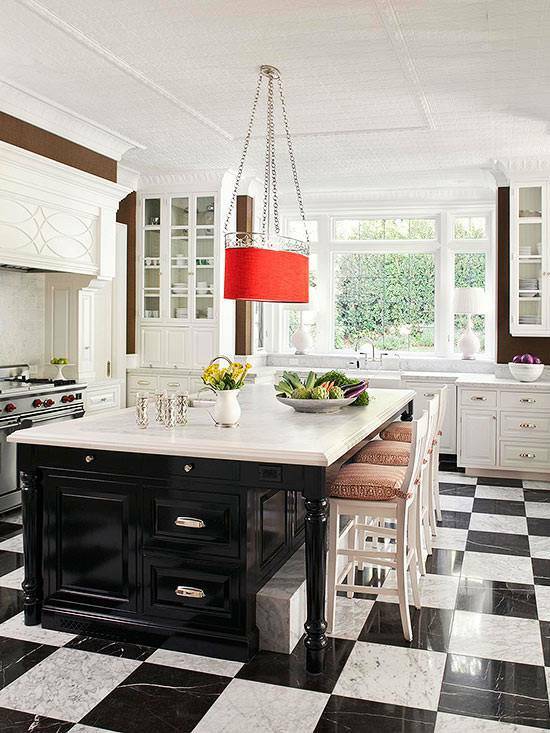 You could have old-fashioned tiles like those often used in French country homes. 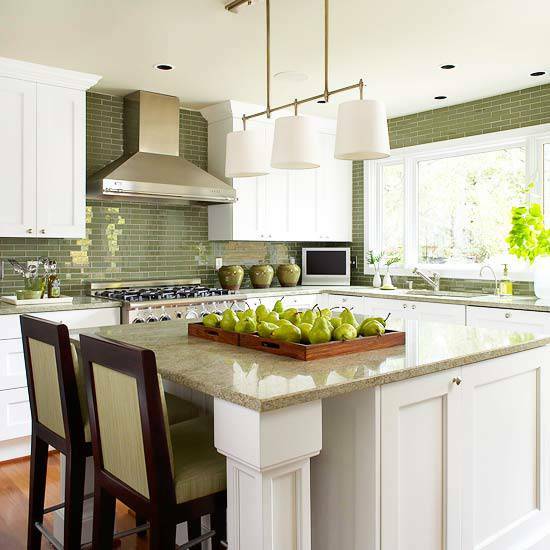 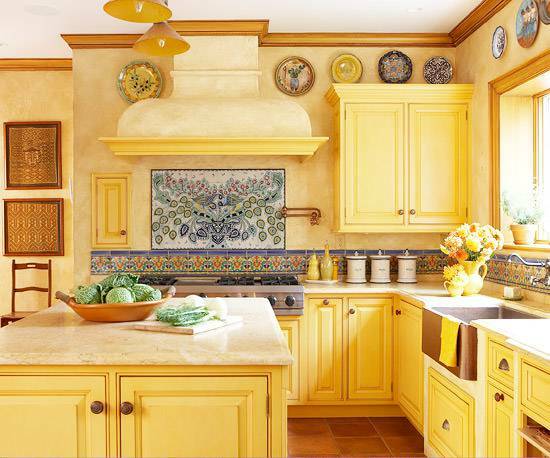 You could also lay complementing tiles on the wall above the kitchen counter and below the cabinets. 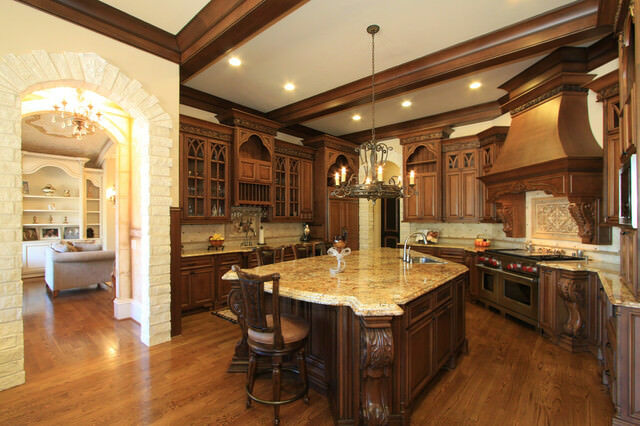 Traditional kitchens usually have wooden cupboards and cabinets, often with an ornate design. 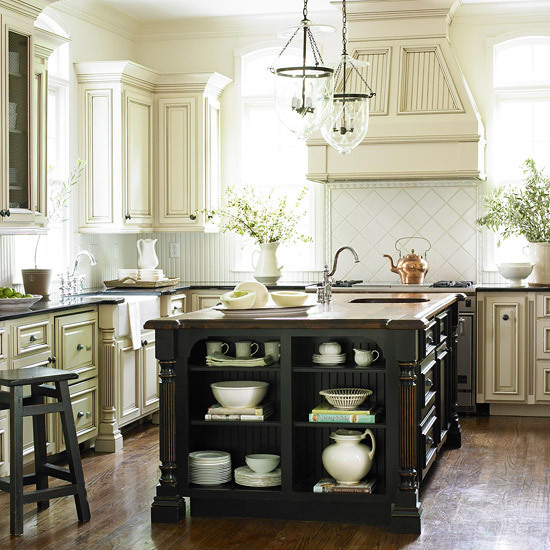 Add a charming asymmetry by interspersing some wall shelves among the cabinets. 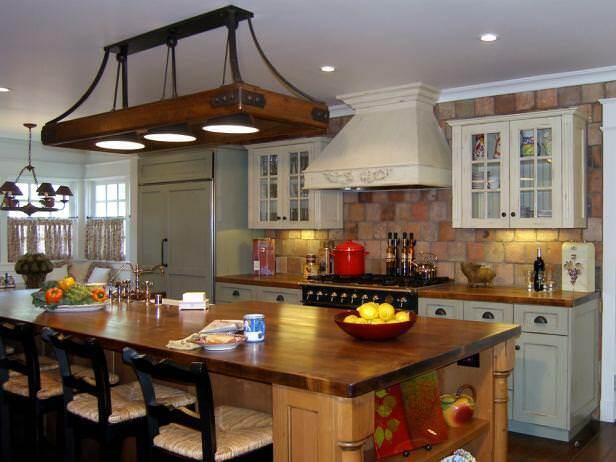 Place an odd chair in for a homely look and someone to sit at times. 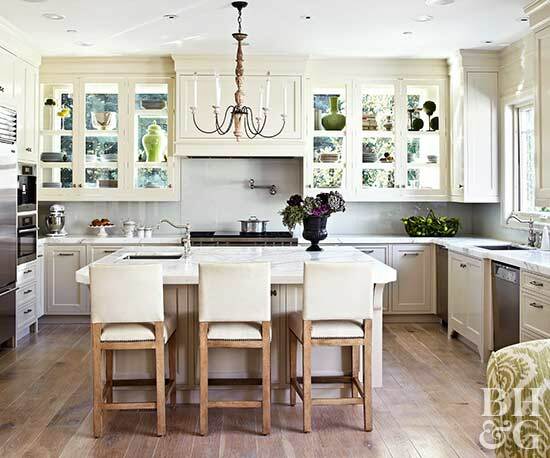 Add to the conventional atmosphere with potted plants and old-fashioned lamps. 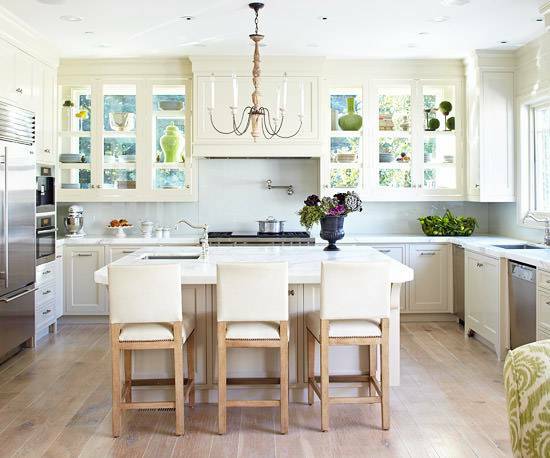 Talking of lamps, a candle chandelier suspended over the dining table would be the crowning glory.